Civil Air Patrol national comm..
No need for tickets Monday, March 25 — just arrive early for the closest seats so your view of the Stones River Chamber Players, MTSU’s faculty ensemble-in-residence, in the season’s final concert, “New Horizons,” will be as glorious as the music. The ensemble members, all of whom teach in MTSU’s School of Music, will perform at 7:30 p.m. March 25 in Hinton Music Hall inside MTSU’s Wright Music Building, located at 1439 Faulkinberry Drive. A campus map is available at http://tinyurl.com/MTParking. The performance is free. This concluding concert of the 2018-19 season will feature the world premiere of new works by two internationally acclaimed composers: MTSU music composition professor Paul Osterfield and Steve Rouse of the University of Louisville’s School of Music. Both composers are scheduled to attend the performance, Andrea Dawson, SRCP co-coordinator and a professor of violin at MTSU, said. The players will open their concert with “Apartment House,” a song cycle by Grant Richard that will feature School of Music Director Michael Parkinson on trumpet, pianist Joseph Walker and mezzo-soprano Hannah Sims, an MTSU alumna. Richard composed the work in 1980 especially for Parkinson. Rouse’s “The Bird, The Bee and the Bear” follows, featuring flutist Deanna Little, oboist Grace Woodworth and tuba player Chris Combest for its premiere. The uniquely instrumented work was composed at the request of the MTSU Faculty Wind Trio. The premiere of Osterfield’s “Quicksilver” will showcase violinist Dawson, cellist Christine Kim and pianist Arunesh Nadgir. “This work is in several contrasting sections, from quirky and skittish music to slow melancholy passages, bookended by fast and energetic music that is intended to be fun,” Osterfield said. The ensemble will close the performance and the season with composer Francis Poulenc’s classic, “Sextet.” Little, Woodward and Nadgir will be joined by clarinetist Todd Waldecker, horn player Angela DeBoer and bassoonist Gil Perel. “This is one of my favorite pieces for winds and piano,” said Nadgir. “Poulenc has a wonderful ability to change mood and sound instantaneously and the listener will hear these shifts throughout the piece. 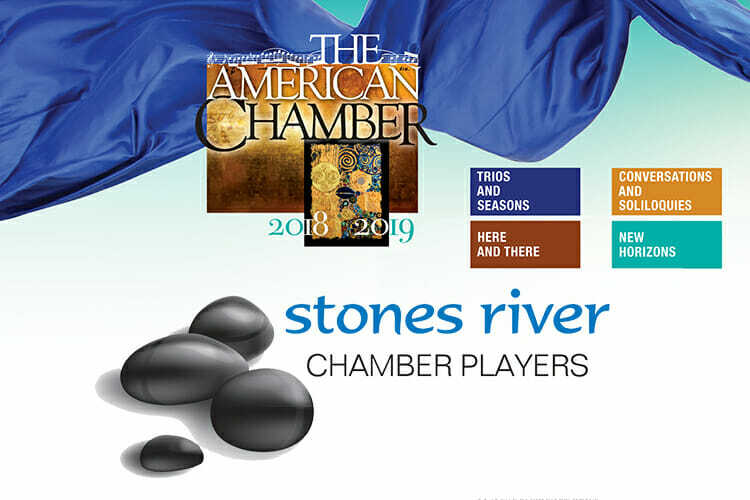 You can learn more about the Stones River Chamber Players at www.mtsu.edu/music/srcp.php. For details on more MTSU School of Music performances, call 615-898-2493 or visit the Concert Calendar online.